Mickhail Gorbachev was born on the 2nd of March 1931 into a peasant family. His early life was filled with hardship as he experienced the Soviet famine, and saw many family members starve to death, including two of his sisters. He also saw his grandparents get arrested under false charges. During his teenage years he worked on the family farm until he went to university to study law where he developed an interest in politics, and joined the Communist Party. He became very interested and active within the party, and when he graduated in 1970 he was appointed as a First Party Secretary. 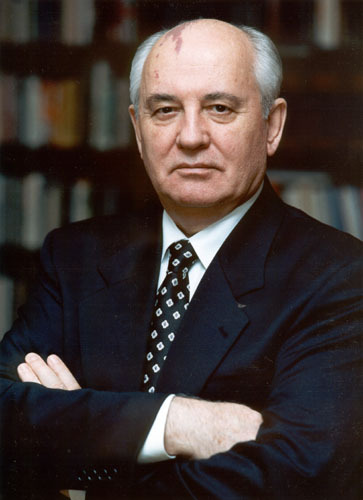 After a number of years within the Soviet Union, during which time he implemented a number of important policies such as improving workers’ living conditions, Gorbachev was elected as general secretary of the Soviet Union in 1985 and had the primary goal of improving and reviving the Soviet economy. At the time, the Soviet Union was struggling to provide basic services to all of its citizens and Gorbachev sought to improve prosperity in the country. However, he found it near impossible as a result of the political and social issues within the country. Gorbachev was elected as the 8th and last leader of the Soviet Union in 1988. He remained in power until the Soviet Union dissolved in 1991. During Gorbachev’s time in power his policies made a big contribution to ending the Cold War, with his policies of glasnost and perestroika. For example, his policy of glasnost (openness) which he implemented in 1988 reduced the secrecy within the Soviet Union and helped to limit the secrecy between countries. Also his policy of perestroika which was all about restructuring the country resulted in a number of radical reforms and led to social and economic progress. Gorbachev also removed the constitutional role of the party and all of these changes helped to lead to the parties’ destruction.